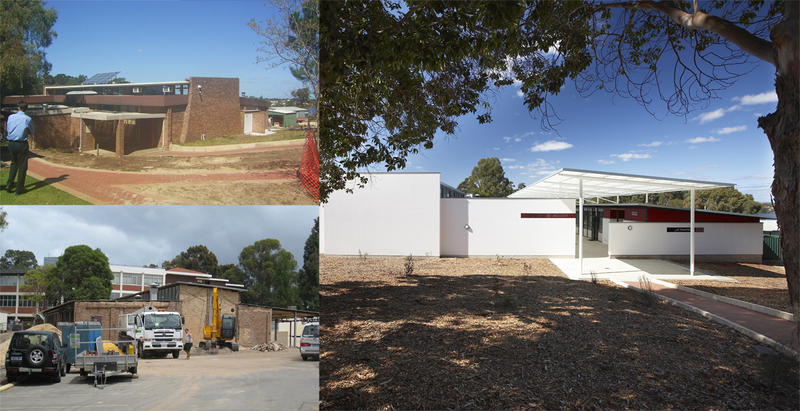 The Design and Technology building for Aquinas College in Salter Point, Western Australia, included the refurbishment of three very dated, brown brick workshops, the construction of a new wing of design laboratories, and a new metal workshop with supporting facilities. 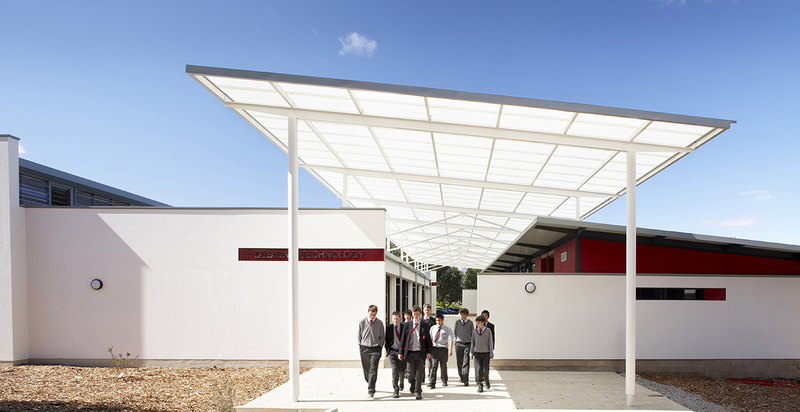 The existing workshop wing was extended and a floating translucent roof built between the new and existing buildings. 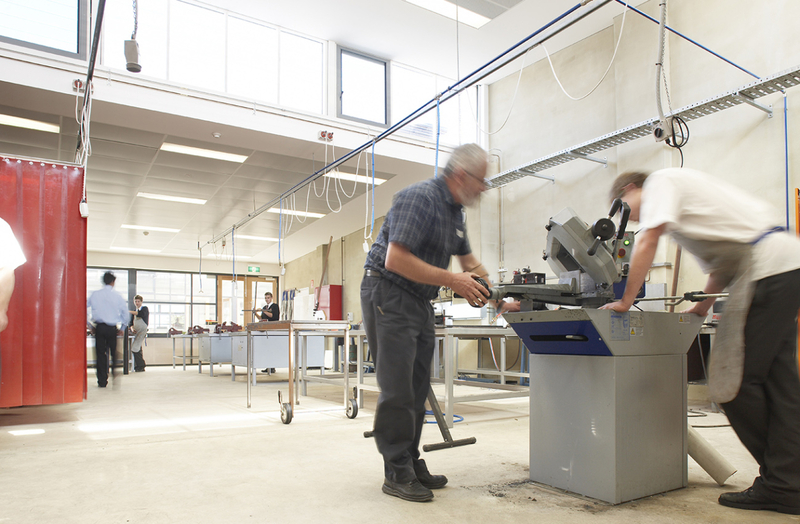 This acts as a transitional space, and a buffer between the quieter design labs and the noisier workshops. There is a visual connection between each building through the extensive use of glazing facing into the central covered area. The high level of transparency allows passive surveillance of all areas by staff, and provides a strong psychological link between the learning, creating and producing functions of the centre. The central covered area also provides an exhibition space that can be used to present the works produced within the centre. Construction was complex as it took place while students occupied sections of the building. 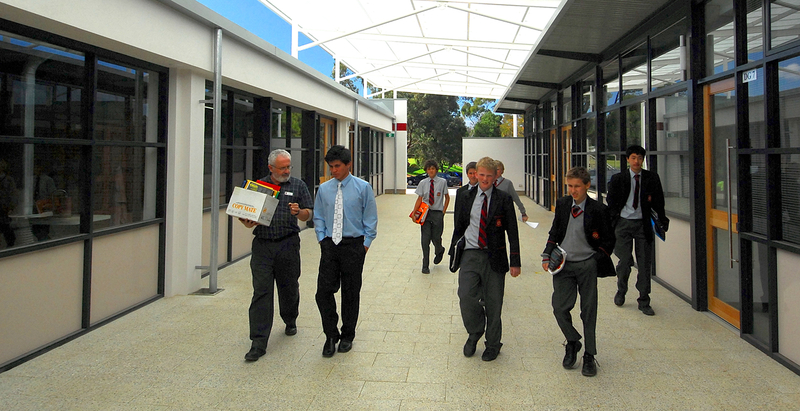 However the project was delivered on time and within budget, with minimal disruption. This can be attributed to the effective collaboration and communication between the Builder, Client and Architect.